A few weeks ago we announced that Shakespeare ZA will be publishing new work by South African poets that responds to Shakespeare’s plays. 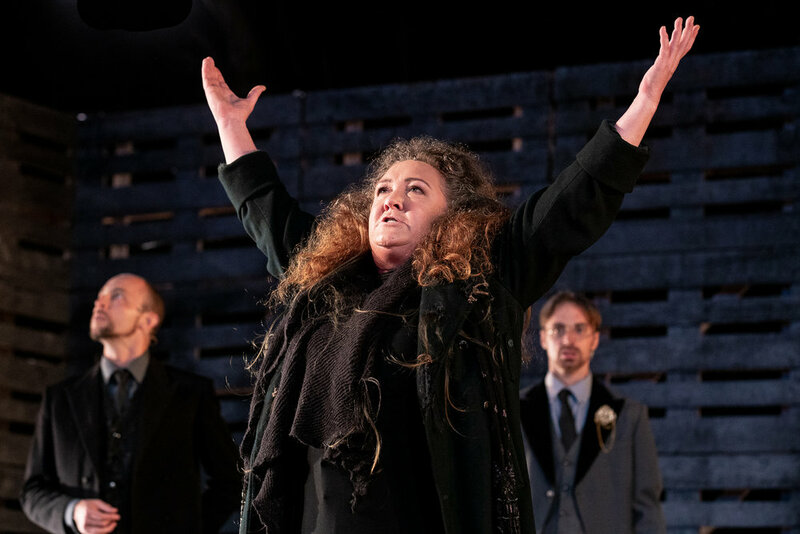 In this second installment, Lauren Bates weaves her own words into lines from Kate’s speech in Act Four Scene Three of The Taming of the Shrew. 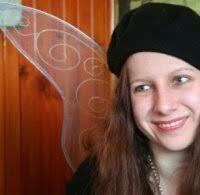 Lauren Bates is a South African English and Drama teacher, Shakespeare Scholar and Theatre in Education practitioner. After completing a second master’s degree in “Shakespeare and Creativity” at the Shakespeare Institute in Stratford-Upon-Avon, she has embarked on a PhD through Wits University to unpack the past, present and future of Shakespeare in the South African high school curriculum. Based on her experience working with the Education Departments at the Royal Shakespeare Company and the Shakespeare Birthplace Trust, she has launched the educational theatre initiative Educasions. Lauren is directing a production of Matthew Hahn’s play The Robben Island Shakespeare at the Artscape Theatre on 16 April and at the Baxter Theatre on 11 May. Alan Committie and Bianca Mannie in Richard III. Photo credit: Jesse Kramer . Richard (played by Alan Committie) moves onto the small, slightly de-elevated platform sticking out of the front of the stage. This is a familiar spot for him: at this point, the audience is conditioned to expect that he will now deliver another of his villainous – and gripping – soliloquys. Committie handles the moment expertly. He has spent the whole of the play building a complicitous rapport with the audience while standing, hunched and crooked, on this little platform. The steady build-up of the connection between Richard and the audience pays off in this key moment, when it is broken by his inability to speak. He opens his mouth, but he cannot form any words. This is startling: we expect (we want!) another speech, another rhetorical magic trick, or shocking revelation of further and greater villainy – and we receive nothing. No echoes are left of the refrain “I am king!” – delivered by Committie with an utterly convincing mixture of incredulity and glee – which marked the turn of the play into its second half. The furious verbal manipulation Richard has used to propel himself to the top stops short in a sudden and devastating silence. … the restrained approach to the staging allowed for one’s focus to remain steadily on the performances of the actors, which were worth all the attention they could be given. This was one powerful moment among many in the production: all of which were dependent on a combination of excellent performances, measured stage and costume design, and judicious direction. When putting on any of the history plays, a common tactic is to present them in a modernised and hyper-topical context, side-stepping accusations of “irrelevance”. Certainly, there are ways of staging the plays which would warrant such accusations, and inserting the play into a modern on-stage context can be a very successful alternative to stifling historicity. However, superimposing the contemporary onto such a play also runs the risk of being superficial. Hyland’s Richard III did not fall onto either side of the spectrum, and so avoided the pitfalls of each. It was neither an animated relic nor a heavy-handed game of “spot the political/pop-culture reference”. The furthest this interpretation went in terms of the latter was, as far as I could tell, a single moment when Anne (played by the commanding Bianca Mannie) swotted away Richard’s hand during his coronation in a move reminiscent of Melania Trump, but that is pretty much the extent of it. Richard III at Maynardville. Photo credit: Jesse Kramer. With no modern context (or historically accurate reproduction) to construct and remain faithful to, the production relied on very little artifice. The stage seemed to be constructed entirely of wooden pallets, surrounded on the far left and right by wooden stakes. At the beginning, one round form in a brown, bloodied sack (the head of king Henry VI) was already impaled on a stake to the left. As the rest of Richard’s victims lost their heads one by one, more bloodied sacks were stuck onto the empty stakes, none of which were left empty by the end of the play. This acted as a useful and suitably grim death tally. At the centre of all this violence was the much-contested throne: a tall and unimpressive wooden box with a square hole in the middle, easily moved about (and off) the stage as necessary. When Committie’s Richard was crowned and sat himself on this box-throne, it instantly rendered him a child, with legs dangling high off the floor. The costumes were indefinite in terms of time period: an unobtrusive mixture of modern and older fashions, all in dark tones, with the exception of Richard and Anne’s blood-red royal attire following (the symbolism of which needs little explanation). The strategic design provided enough visual anchors for the audience, but also allows a lot of space and freedom for individual associations and reactions. Anne, together with the other three female characters, provided the most striking counterpoints to the treasonous king. Furthermore, and perhaps most notably, the restrained approach to the staging allowed for one’s focus to remain steadily on the performances of the actors, which were worth all the attention they could be given. Committie was a resounding success as Richard, and one is curious about what he could do with other characters from Shakespeare (and hopeful that the wait to find out will not be long). Bianca Mannie’s Queen Anne matched Richard in intensity and presence: their interactions were fierce, oppositional, and compelling. When Richard manages to convince Anne to marry him, the defeat leaves one pained and incredulous. The effect would have been lost if Mannie’s Anne had not demonstrated that she was a closely matched opponent to Richard: that she could have prevailed against him, but did not. Anthea Thompson in Richard III. Photo credit: Jesse Kramer. Anne, together with the other three female characters, provided the most striking counterpoints to the treasonous king. Anthea Thompson as the widowed Queen Margaret commanded the stage in her scenes: banished after her husband’s murder, she was vicious in her quest for retribution, cursing of Richard as well as Hastings (David Viviers), Rivers (Tailyn Ramsamy), and Dorset (Sanda Shandu) to meet early deaths. Queen Elizabeth (Cassandra Mapanda) first endured the death of her husband, Edward IV (John Maytham), and then her sons, the young princes (Tafara Nyatsanza and Damon Munn). While at Richard’s mercy, Mapanda played the Queen with strong-willed dignity set in opposition to her husband and children’s murderer. Finally, Lee-Ann van Rooi, playing Richard’s own mother (the Duchess of York), was a formidable presence. Her relationship with Richard was fraught, and van Rooi managed to show her character as both politically calculating, fiercely protective of Elizabeth and her grandsons, as well as genuinely distressed and disgusted at Richard’s actions and her own complicity in them as his mother. The play text offers Richard the lion’s share of the dialogue. The part seems made for a virtuoso performer to dominate the stage. Still, the female parts mentioned above do much to introduce a meaningful balance. Additionally, the impact of the production would have been lost if the supporting characters were inconsistent. The entire cast should be given credit for buttressing an excellent production with focused and well-honed performances, in which there was very little room to disguise poor acting with spectacle. … the universality of a text from the past cannot be made to mean anything in a theatre space without the energy and talent of the artists of the present. Beyond appreciation for the craft and dedication of all the theatre artists involved, what impressions were left at the end of this Richard III? The production presented a story about the pursuit of power, which turned out to be a short-lived, bloody, and violent mess. Richard’s almost complete lack of true feeling (as opposed to his many false and convincing shows of emotion) painted a picture which was both absurd and terrifying. No sympathy or love were apparent behind his many masks – not even the smallest mustard-seed worth for a last-minute, half redemption – only a rabid will to power, and beyond that: silence. The implications of this tale, distilled and contained as it was in presentation, were free to resonate in as many directions as there were audience members on a performance night. This could be chalked up to the perennially cited “universality” of Shakespeare. Thinking of this performance, though, I would argue that the universality of a text from the past cannot be made to mean anything in a theatre space without the energy and talent of the artists of the present, who create connections and meaning – a lived experience – in the moment of performance. This is the magic of theatre, and I hope that it will continue at Maynardville and other South African stages for a long time to come. This year the Klein Karoo Nasionale Kunstefees is turning 25! If you’re heading to Oudtshoorn for the festival, you’ll want to see Antoinette Kellermann as “Queen Lear”. This production follows Antjie Krog’s Afrikaans translation of Tom Lanoye’s Flemish text and promises to be something special. 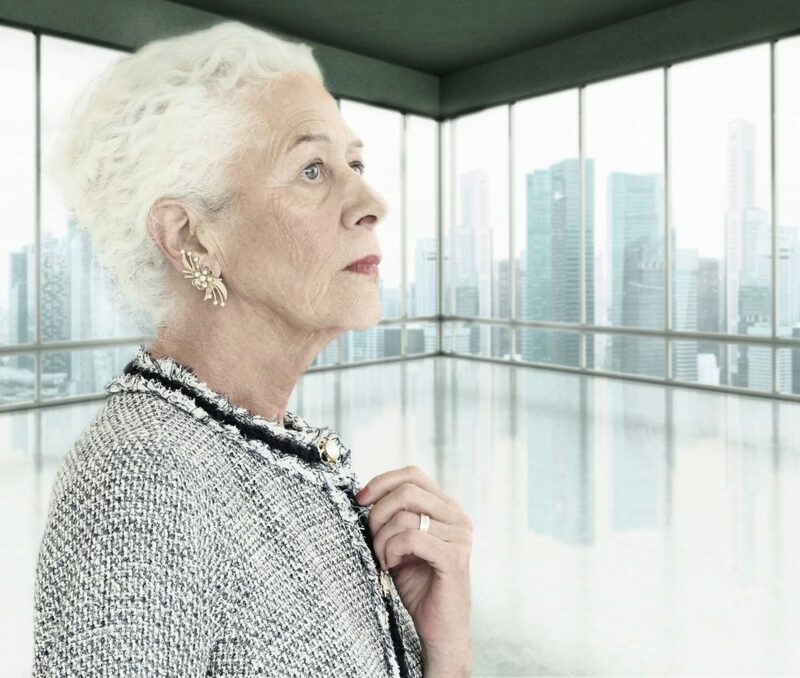 Koningin Lear is ’n herverbeelding van William Shakespeare se King Lear deur die gevierde Vlaamse skrywer Tom Lanoye. Elizabeth Lear het met die verloop van tyd haar klein besigheid opgebou tot ’n internasionale sakeryk. Elisabeth kondig aan dat die besigheid tussen haar drie seuns verdeel sal word en sy eis dat haar seuns onder eed hul liefde en trou aan haar verklaar. Haar jongste, en geliefde seun weier en dit ontketen ’n familietwis van reuse-omvang. Dit is ’n verhaal van ’n bejaarde besigheidsvrou wat haar houvas op die werklikheid verloor, wat desperaat probeer om die storm wat om haar losgebars het te hanteer. ’n Epiese verhaal wat skerp kommentaar lewer op ’n hedendaagse besigheidswêreld, waarin integriteit en lojaliteit skaars kommoditeite geword het. Koningin Learbring die room van Suid-Afrikaanse akteurs byeen om dié kragtige verhaal na die plaaslike verhoog te bring. **Gratis gesprek met die geselskap: 22 Maart 13:00 (na afloop van 10:00 vertoning) | 45min. We are continually adding to the collection of teaching and learning materials available on Shakespeare ZA. You can browse through resources on Antony and Cleopatra, Othello, Hamlet, Coriolanus and Macbeth here. The latest addition is a presentation by Nina Nathanson, an English teacher at St Mary’s School, Waverley (Johannesburg). This is not specific to one play, but deals with wider questions about Shakespeare’s relevance to South African learners. Click on the image below to download it! Shakespeare ZA is delighted to announce that, over the next few weeks, we will be publishing new work by South African poets that responds to Shakespeare’s plays and poetry. at the top of the heap. Clearly, there are spoils for the taking. seduce him to indulge himself. dearer than life, beauty, health, honour. in her flood of eloquence. to herself and all her family. This is his little kitten! are dropped into her bowl. he advises her to use more words. that her love is as it ought to be. “Get out of my sight. You truth will be your legacy. He’s hot to crush her with a codicil. Each finger’s movement is a weight. His breaths go in and out in toil. Why did he spurn his dearest? Why? what his legalities have done. and then her Uber scrunches to his door. “I know you do not love me. and she no life at all. She will not come again. at the heart of loss?